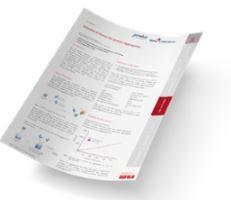 The Tau Aggregation kit is designed for the fast detection of human Tau aggregates in brain tissues and cell cultures. Tau proteins are required to stabilize microtubules through tubulin association. Deregulation of Tau expression, aggregation, and subsequent phosphorylation have been correlated to the onset of pathologies linked to the nervous system such as Alzheimer's and Parkinson's. The Tau aggregation assay detects human Tau aggregates rapidly in brain tissues and cell cultures. 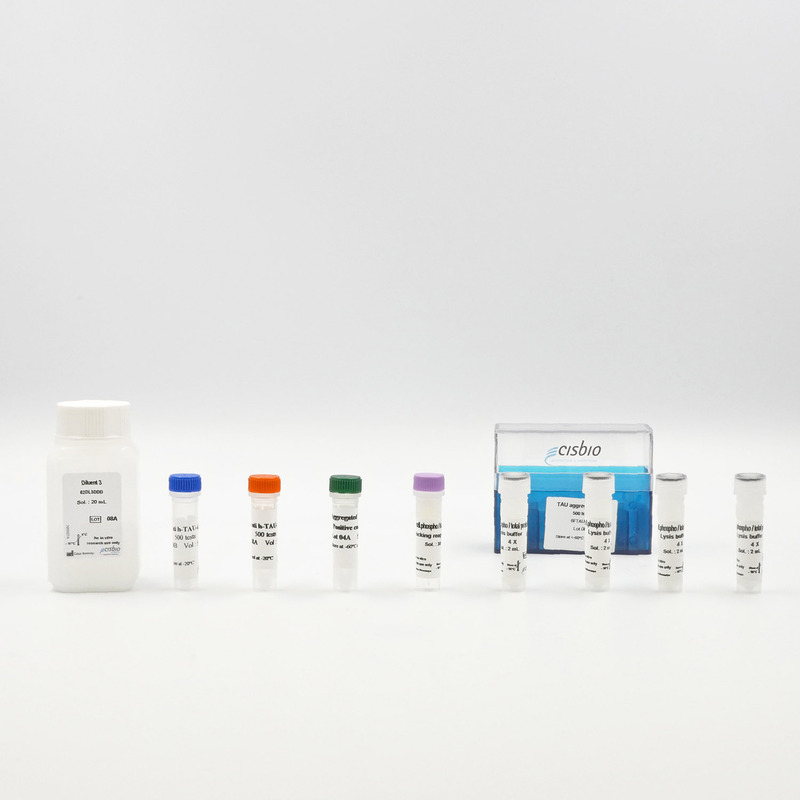 This kit is part of our Tau range, including phosphorylated Tau detection and total Tau measurement (MAP-Tau). Tau aggregates are measured using a sandwich immunoassay involving an anti-Tau monoclonal antibody specific for Tau aggregate labelled with terbium-Cryptate or d2, ensuring assay quality, reproducibility, and signal quality. The specific HTRF signal generated is proportional to the Tau aggregates. The sample or brain extracts are transferred to the assay plate for the detection of Tau aggregates. The antibodies labelled with HTRF fluorophores may be pre-mixed and added in a single dispensing step to further streamline the assay procedure. The assay detection can be run in 96- to 384-well plates by simply resizing each addition volume proportionally. A FRET signal is generated in the presence of aggregated tau, leading to a distinctive signal compared to non-aggregated tau. The assay shows a good linear correlation between signal intensity and the purified recombinant tau aggregate concentrations obtained by serial dilutions in assay diluent, with a linear range of 1.9 to 500 ng/mL. Recombinant full-length human tau protein was chemically aggregated. The reaction was stopped at different times (1, 2, 4, 6 and 24 h). The samples were previously diluted (1/500) to follow the kinetics of aggregation. This assay could also be used to monitor a kinetic of dissociation after a compound addition. The test was performed in 384-well low volume plates, read on a PHERAstar FS laser. Triple-transgenic mice (Tau / PSEN2 / APP) were used as Alzheimer models. These mice develop an Alzheimer-like pathology that starts at 10 months old and progresses over time. The aim of this experiment was to detect differences in the quantity of Tau aggregates between 10 and 14 month-old mice, in the earlier stages of the disease. The graph shows that assay sensitivity enables clear discrimination between the early stages of the fibrillation process. These results correlate with those obtained for Tau phosphorylation.